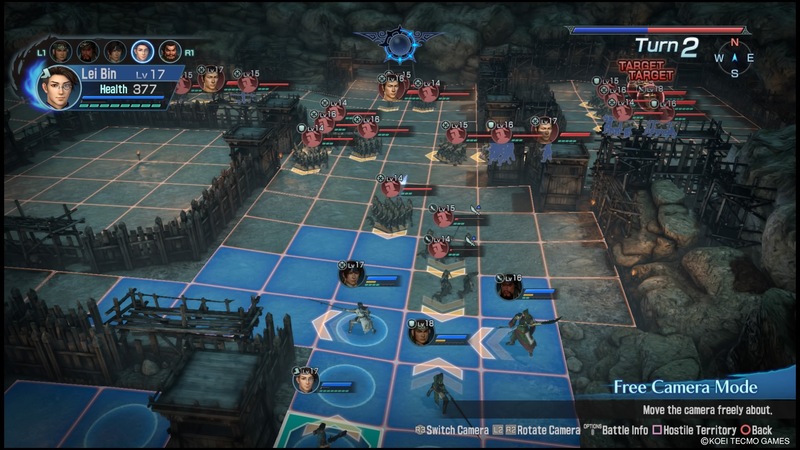 It’s only a weird idea to turn Dynasty Warriors into a turn-based strategy game until you think about it. 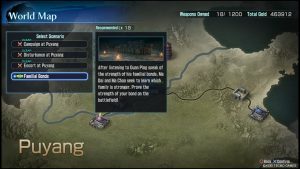 After all, it’s been done before with the long-dormant Dynasty Tactics series! Though Musou games are about fast-paced action, they’re also about big battlefields, huge casts, tactical advances and grinding for levels and loot. And those are the sorts of things you also see in games like Disgaea. So Dynasty Warriors: Godseekers isn’t the most cutthroat, precise game. It’s like its namesake, a big sprawling game that has you looping back to old levels and heading up and down the difficulty spectrum to keep going through its much-told ancient-fantasy campaign. You’ll want better weapons. You’ll want skill points for a truly intimidating upgrade tree. You’ll want to customize costumes and pick up meat buns for healing. In all these respects, Godseekers is a much more faithful adaptation than Dynasty Tactics ever was, really feeling like a turn-based Musou with its huge waves of enemies and flashy area attacks. You can still lose, certainly — and you will if you try to power through the main story without building anything up in the side missions — but the formula feels less like the Fire Emblem balance of maintaining formation and striking from protected corridors. Rather, the winning strategy here is to rush out — within reason — and take out large swaths of foes before they can advance on allied troops. Which… feels like Dynasty Warriors, to be sure. The winning strategy here is to rush out — within reason — and take out large swaths of foes before they can advance on allied troops. 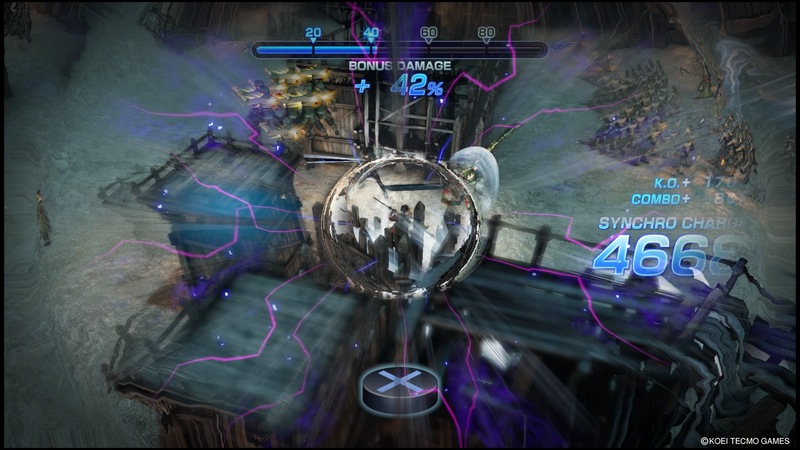 The big game-breaking ability in this game isn’t the Musou attack, as that gets used basically every other round. 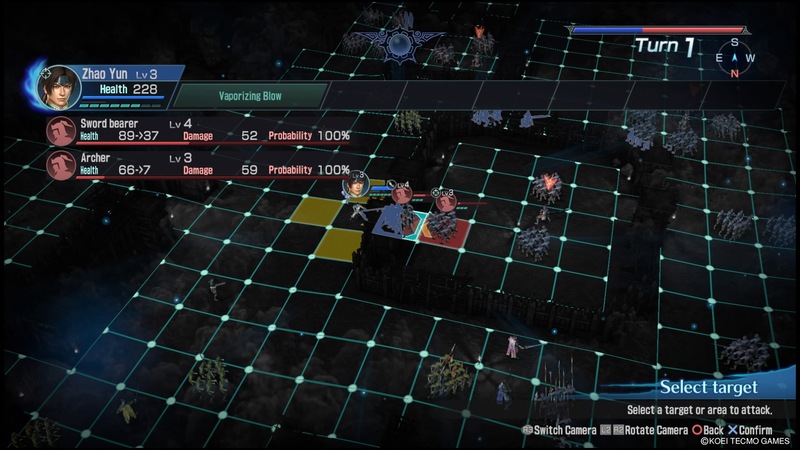 Instead, there’s a meter to fill to execute a Synchro attack, basically letting everyone in a formation around your unit to move a second time in a turn and finish with a devastating three-by-three area attack within a limited range. If you attack well, you can do two or three of these in most battles, making for the sort of huge swing you’d see in a game like Advance Wars: Dual Strike‘s tag powers. Godseekers is balanced to really need these, though; the odds are stacked against you otherwise, especially in the game’s later levels. Visually, it takes a bit to get used to Godseekers‘ battlefields. Since many squares are filled with groups of units rather than one, and since the environments aren’t always ideal for viewing from above with lots of gates and corridors, it’s less glanceable than it really should be. That said, the cross-platform engine once again powering a PS4/Vita Omega Force release is less taxed with this sort of play, and that means technical limitations are less present or prominent. 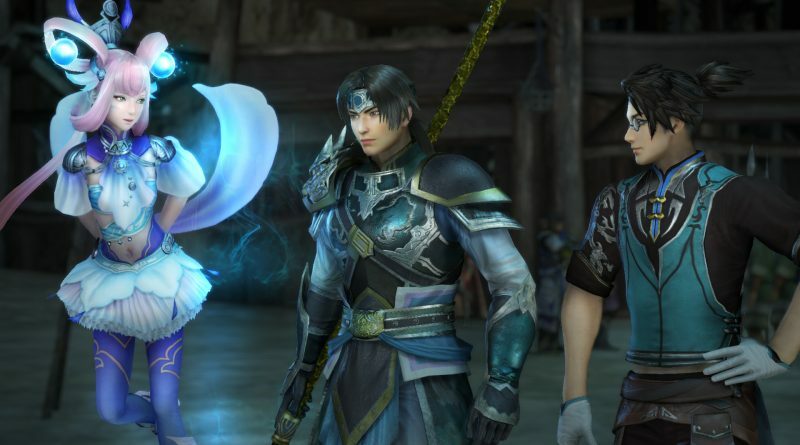 Dynasty Warriors: Godseekers occupies a peculiar spot in Koei Tecmo’s universe of games. 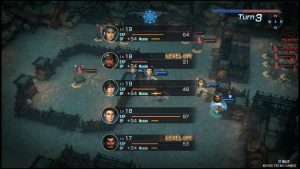 With Romance of the Three Kingdoms and Nobunaga’s Ambition offering a truly core-only difficulty level and a high level of thinking above all else, and with Dynasty Warriors 8 Empires adding a tactical layer to the existing Musou gameplay, where does Godseekers fit? What role does it serve? The answer is that it’s a timesink. This game is about the fun of completion. 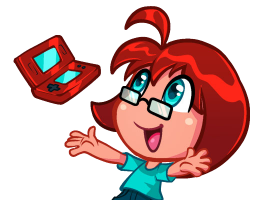 It’s about the fun of seeing the three objectives for a stage and playing it over and over again to get each one. It’s about following esoteric series of prerequisites to unlock all of the game’s 60-or-so characters. This isn’t necessarily a bad thing, and it surrounds it with enough interesting moves and unit selections to keep it interesting, but you really need to know going in that it’s an experience that relies upon a hundred-hour time commitment for its best aspects to shine. 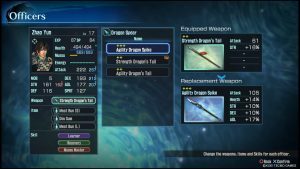 Dynasty Warriors: Godseekers occupies a peculiar spot in Koei Tecmo’s universe of games. There’s a lot of “narrative” in the game, be it through those “Path of Destiny” character unlock trees or between story missions, and… it’s not good? Dynasty Warriors has never had great writing, but as a thing yelled out while you’re too busy frantically hitting buttons, it really doesn’t matter that much. Here, it’s just an annoying delay between things to get done. It’s a shame, because this game really did have the opportunity to turn things around for the series’ writing. 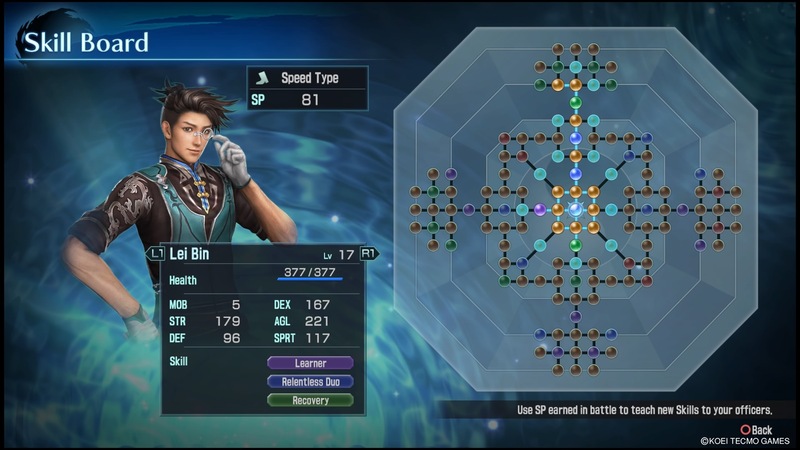 Dynasty Warriors: Godseekers isn’t the best strategy option on two platforms that are loaded with enticing choices, but it is a different thing for series fanatics to do that still appeals to them as hard as it can. And with the pace of Musou releases these days, any sort of respite could be very much welcome.